Rio 2016 is finally upon us! 2 weeks of fantastic Olympic action from the world’s top athletes! To celebrate, Tommee Tippee have launched the Ultra Games. Over the next 2 weeks (8th-21st August) Tommee Tippee are hosting 8 baby events on their Facebook page for the nations youngest athletes to get involved in. You can enter the Tommee Tippee Ultra Games via their Facebook page for a chance to win; you can enter your little athlete as many times as you like throughout the games. The winners of each event will be crowned a Tommee Tippee Ultra Athlete and will receive an Ultra Medal, sweatband and one of their new Ultra Feeding Bottles. To celebrate the launch of The Ultra Games, I have one of the new Tommee Tippee Ultra Feeding Bottles to giveaway! What makes the new Ultra bottle different? Lots of bottles talk about latch-on, breast like or reducing air. The new Ultra bottle has it all. 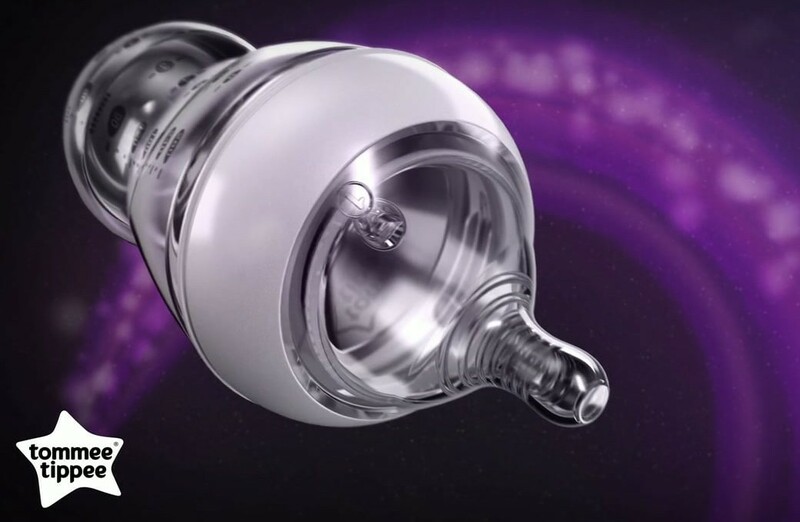 Its breast like shape makes for easy switching between breast and bottle. It has a contour zone for a secure seal that reduces the air intake and dribbles. It’s also angled; this makes for a much more comfortable feeding position for you and baby. My niece would win a medal for singing non stop! She loves it! My baby is not so much of a baby now, BUT he would win a medal for being stubborn lol! My grandson would win a medal for being a dribbler! I think my son would win a medal for smiling! My sister in law in due anytime now. I think she deserves the medal. For smiling, Violet has the most beautiful smile!!! My baby would win a medal for being late! Currently overdue with baby number 2! For smiling and waving his hands! !